Many would have heard or read about Google's self-driving vehicles and they were the first to get a permit from the state of Nevada to test autonomous vehicles on public roads. Now it is Audi's turn to be granted a licence by the state of Nevada. The licence allows Audi to operate an autonomous vehicle on public roads. This is the third such licence issued out to companies that wishes to test autonomous vehicles on public roads. The second licence was issued out to tyre manufacturer, Continental late last year. This makes Audi, the first auto manufacturer to be issued out with such licence. Many might not know this but Audi has dabbled in autonomous vehicle technology before this. 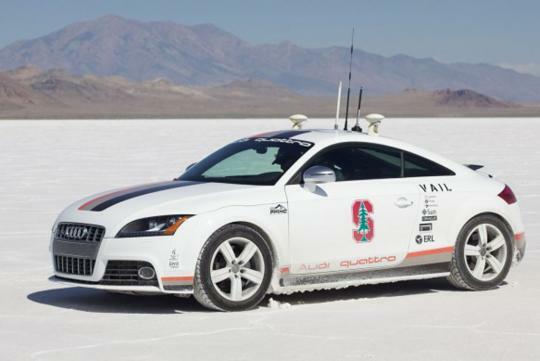 Audi teamed up with Stanford University and Volkswagen Group�s Electronic Research Lab to build an autonomous Audi TTS (second image from top). The self-driving Audi TTS completed a test run at the Pikes Peak International Hill Climb in 2010. The car took 27 minutes to complete the 12.42 mile (19.9km) course. Audi stated that the car used a combination of brand new software, algorithms and hardware to tackle the hill climb. Audi's next self-driving car is rumoured to be an A7 (top most image) and will tackle the challenges of driving through traffic and also parking. 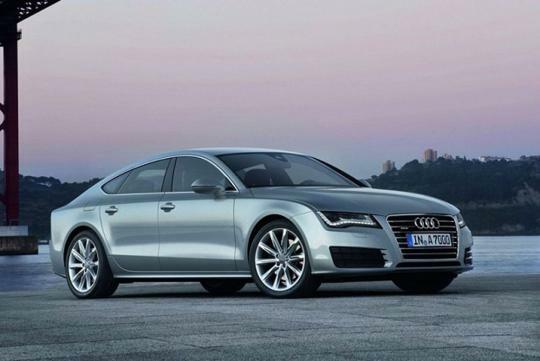 Audi also discussed the possibilities of an autopilot-like system at the recent Consumer Electronics Show. The discussed system will aid operators handle tasks such as stop and go driving or parking in tight spots and also lets the operator to takeover when the situation arises.